Use our advocacy map to find your local humanities resource council and learn more about their projects, events, or petitions. Links will open in a new window. 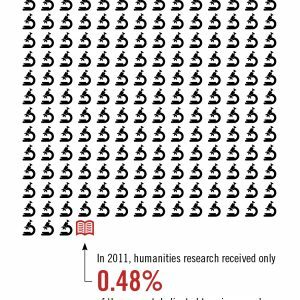 The current political climate surrounding the humanities is contentious, including several recent attempts to defund federally programs that support humanities research, language training, and public humanities programs in communities nationwide. We encourage you to contact your Congressional representatives and let them know why humanities funding matters to you and how it makes a difference in your community. The humanities play a part in all our lives—they instruct, inspire, and enrich us in countless ways. The National Humanities Center created the Humanities Moments Project to collect personal stories about how the humanities have affected people like you. If you have news to report from your campus, workplace, or town, or a resource you think we should know about, we want to hear from you! E-mail action@nationalhumanitiescenter.org with your idea. 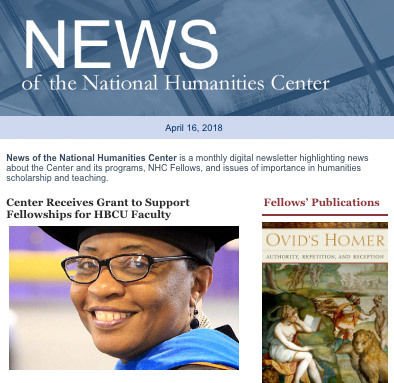 Want to stay up to date on humanities news and how you can get involved? Sign up for our monthly e-newsletter and action alerts. Spread the word, activate the power of your friends, share resources, and remind everyone about the importance of the humanities. 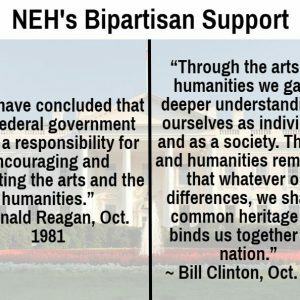 All the scholarly research, education resources, and advocacy work of the National Humanities Center is supported by donations from people like you. Please consider making a gift today.